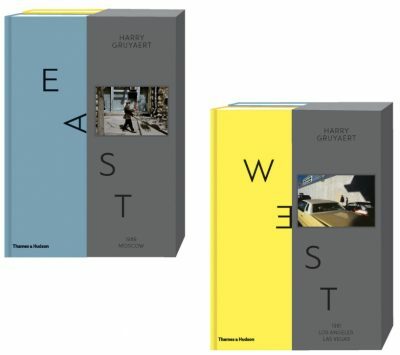 East/West, a two-volume book of photographs by Harry Gruyaert, includes an introductory essay by David Campany. The book brings together photographs made in Los Angeles and Las Vegas in 1982, with photographs made in Moscow in 1989. Published by Textuel (French), Thames & Hudson (English), Hannibal Publishing (Belgium & Netherlands) 2017.